I first met Eric d’Aramon in 2001 when I interviewed him at Figeac, for Decanter. That evening we went to a dinner (it was en primeur week, if I remember) and he went round shaking hands. ‘Alors, c'est Monsieur Figeac,’ one greeted him. At the time I thought it was a mark of respect: ‘the big man’, but now I wonder if there was a hint of irony, as it might be ‘Mr Manoncourt’ – the property of the châtelain. One of the strangest things about the strange affair of the ousting of d’Aramon (one of the nicest people in the business, I always thought) was the fact that it caused so little fuss. Decanter’s Jane Anson, who knows everything, didn’t hear about it. I first heard of it at the boozy en primeur press dinner on Monday night at Canon La Gaffeliere. Wine Spectator’s Suzanne Mustacich ran a piece but barely mentioned it. So then I started asking around and found that everyone knew about it and had an opinion. The bare facts are that on 20 March, Marie-France Manoncourt, Figeac owner and relict of the late Thierry, sent the sort of glacially formal letter that only the haut-bourgeois of Bordeaux know how to write any more, informing negociants that Eric d’Aramon had finished his contract and was to be replaced by Frederic Faye. That was it. If she’d been writing to her accountant to tell him she’d replaced her under-gardener it would have seemed a little abrupt. About her son-in-law, whose 25 years of service to the chateau had made it a much-loved, albeit eccentric, property, it was chilling. Anyway, d’Aramon has gone to ground at his other property, Chateau de Mouchac in Grezillac in Entre-deux-Mers, with his wife Laure and his three young children. Laure is one of the three heirs, with her two sisters, to the chateau: the most prominent of the sisters is Hortense Idoine Manoncourt, who as president, runs the show with her mother. d'Aramon is not answering texts and calls from even his close associates, and a miasma of rumour and gossip is heavy in the air. Twitter predictably went mad, predicting the ruination of the elegant Figeac style. Now Mme Manoncourt, I’m told by a very good source, dismayed by the twitter backlash, is having second thoughts about her high-profile consultant. Apparently Gilles Pauquet has been called in for a meeting. Of course unthinkable that she could sack Rolland immediately after hiring him, but judging by the way half the family was defenestrated, it’s safe to assume she hasn’t been on many personnel management courses recently. Of course now that d’Aramon’s gone, there are plenty of people to say they saw it coming. Proprietors from St Estephe to Libourne privately opine that if they had charge of the chateau their first move would be to rip out all the Cabernet Sauvignon (a third of the plantings, highly unusual on the right bank and the key to Figeac’s distinctive profile). 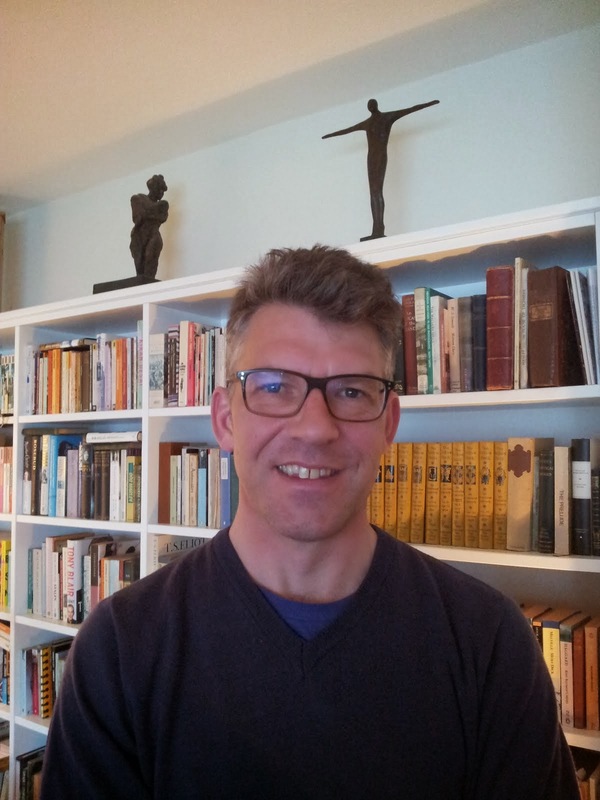 Finally – is Figeac for sale? 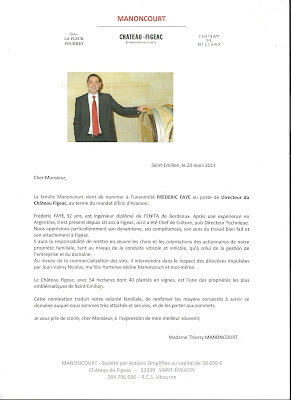 Not while Mme Manoncourt is alive, perhaps, but…. ‘The daughters are not going to want to run the estate. It will be sold for sure. 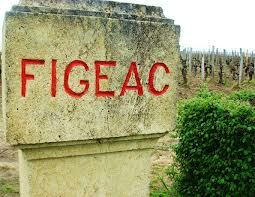 Figeac needs millions spent on it, to update the chais, the vineyards, replant, analyse the soils. You either make that sort of investment yourself or you sell. Figeac will be sold within the year,’ I’m told by a negotiant. 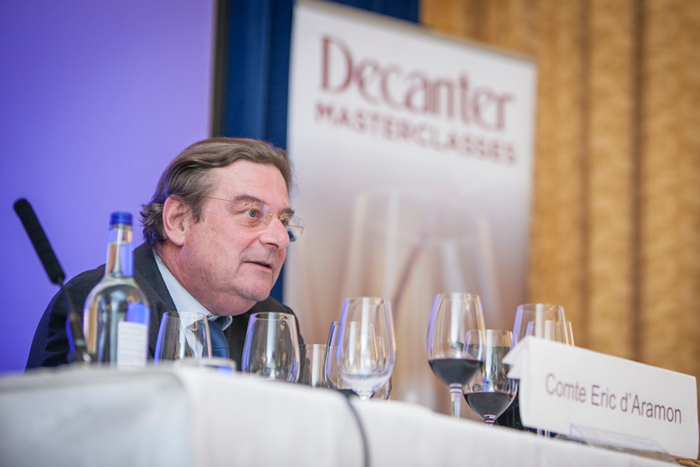 Another correspondent says LVMH has its beady eye on it, ‘to integrate it into Cheval Blanc’. Now that would be a heresy if ever there was one.